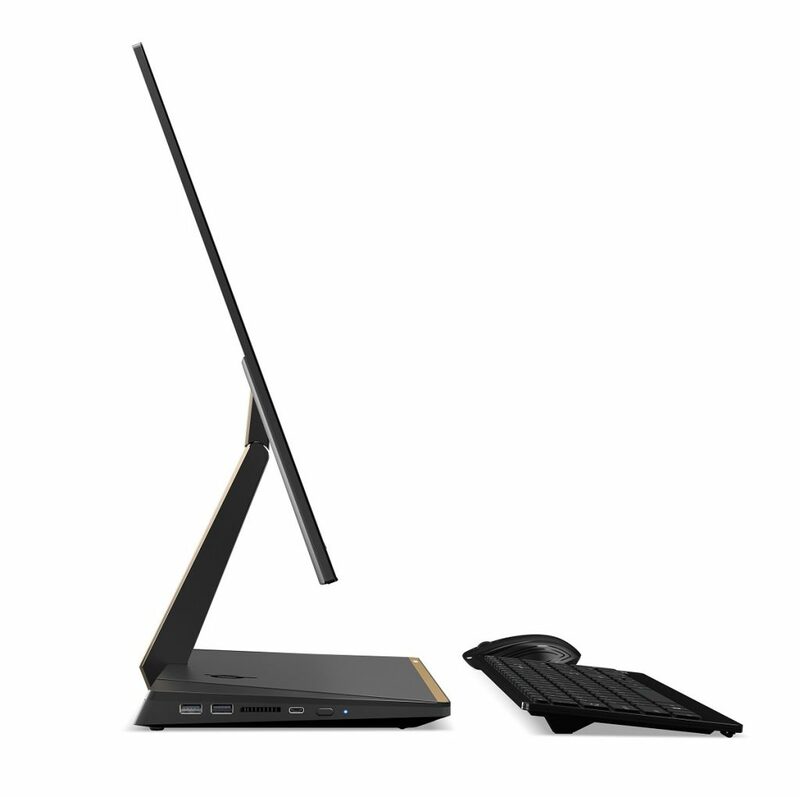 Aside from its range of new Windows 10 laptops, Acer also introduced a new all-in-one (AIO) PC. Dubbed the Acer Aspire S24, it is the Taiwanese company’s slimmest AIO yet. The display’s side profile, for one, measures only 5.97mm thin. But that’s not exactly the Aspire S24’s most attractive feature: it also comes with an almost borderless display. With bezels measuring only 2.7mm thin, Acer said that the S24 boasts an impressive 90% screen-to-body ratio. 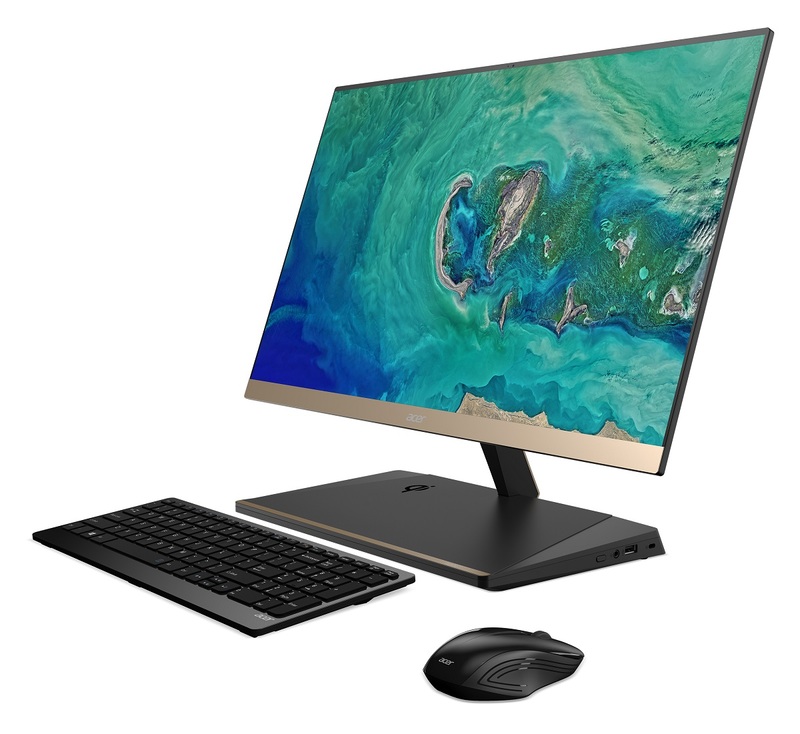 As is the case with Acer’s new products here at IFA 2017, the Aspire S24 is also powered by Intel’s 8th generation Core processors; the AIO can also be configured with Intel Optane memory, but this is an optional thing. 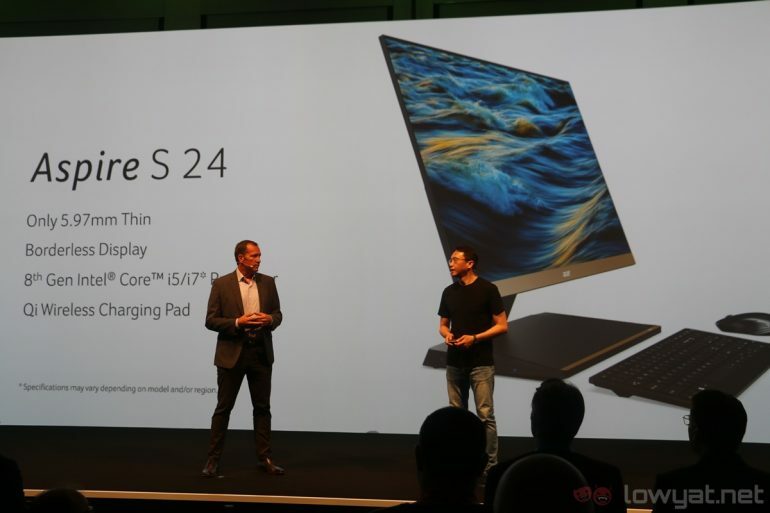 Aside from that, the S24 comes with a 23.8-inch Full HD IPS display, up to 256GB of SSD and 2TB of HDD storage, as well as a 2.1 audio system. Although not necessarily a “must-have” feature, the Aspire S24’s base doubles as a wireless charging dock too. However, this only works with Qi-enabled devices. The Acer Aspire S24 will only be available for purchase in January 2018 in North America from $999 – that’s about RM4,260. For the EMEA market, however, the AIO will hit store shelves in November this year; it will retail from 999 euro (approximately RM5,090).